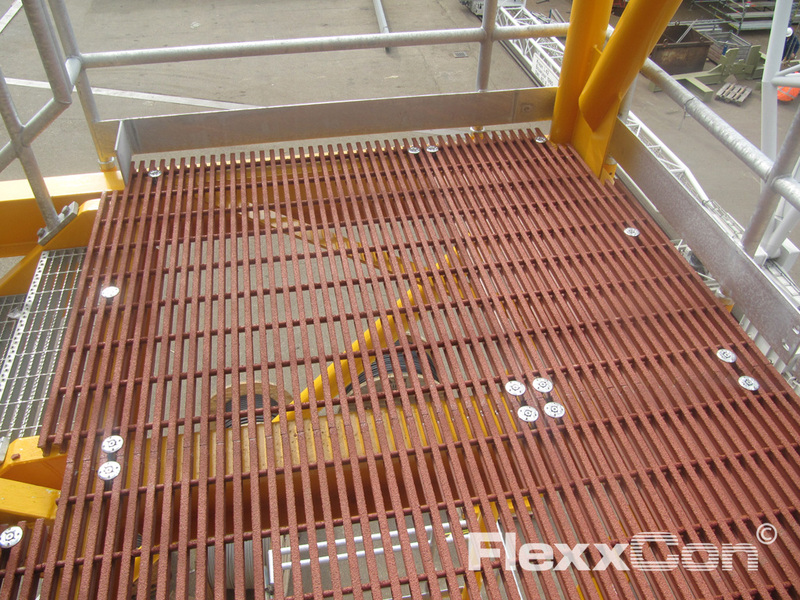 Pultruded grating is suitable for applications with a large span and a high load. 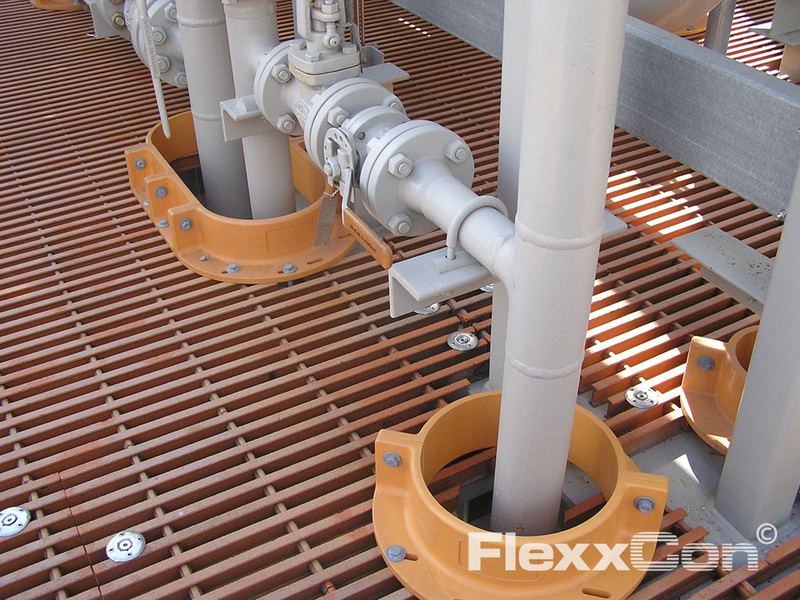 Pultruded grating is highly fire-resistant and can be used in various heavy industrial environments and chemical, aggressive and corrosive conditions. Pultruded FRP grating is made of fibreglass reinforced plastic (FRP [GRP]). 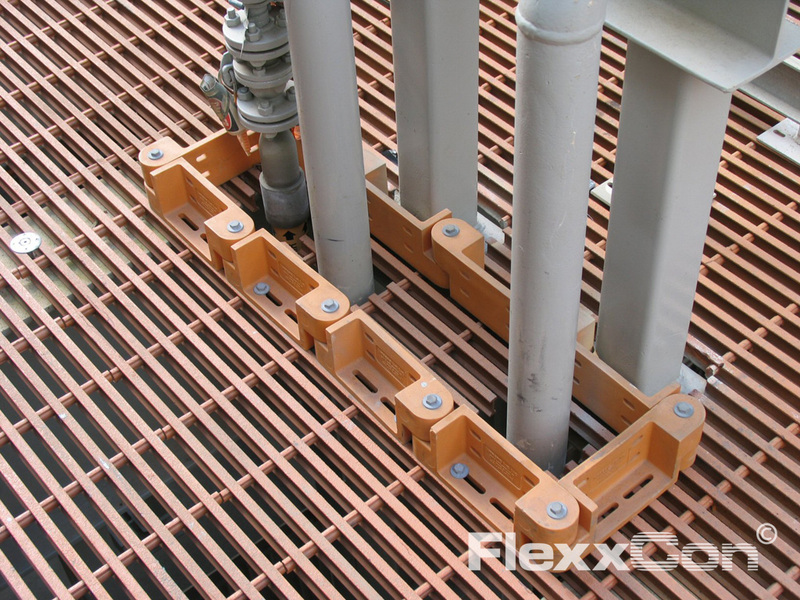 Pultruded FRP (GRP) grating consists of pultruded load bars that are interconnected by means of tie bars. 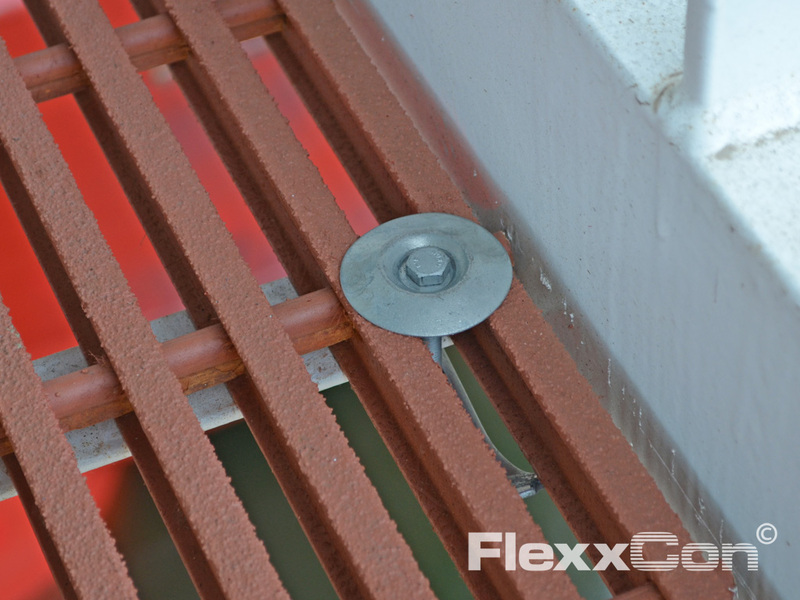 This grating can be supplied in a polyester, vinylester or phenolic resin. Phenolic resin has excellent properties with respect to fire resistance. 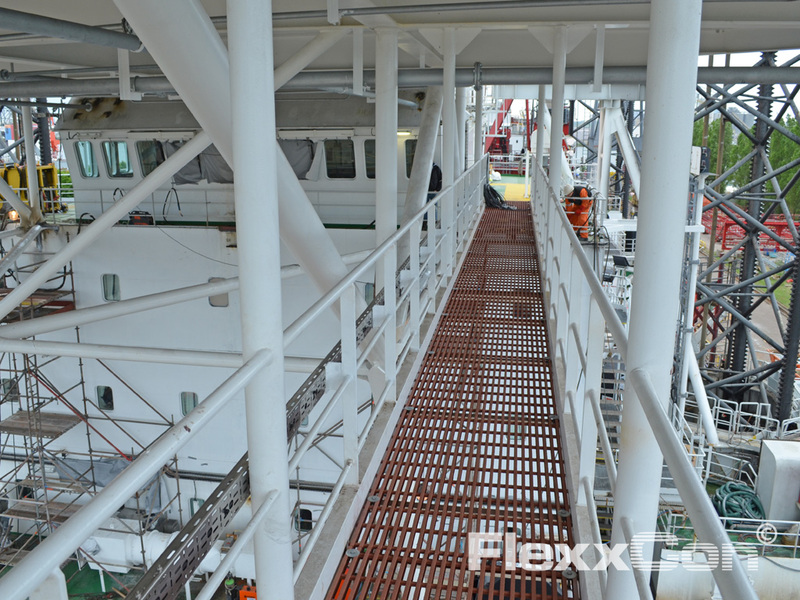 Due to the specific construction and the use of a high glass percentage (approximately 65-70%), pultruded Fibreglass Reinforced Plastic (FRP) pultruded grating is high in strength. 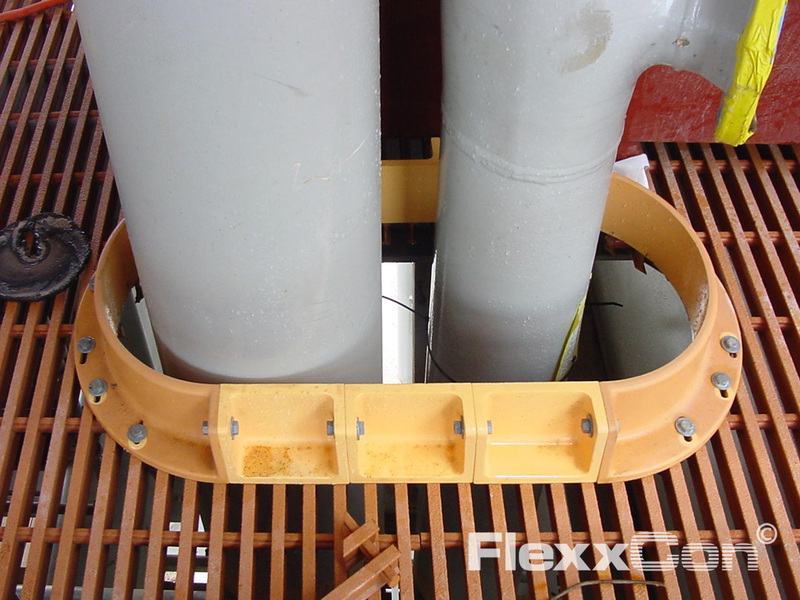 Pultruded Fibreglass Reinforced Plastic grating is therefore widely applied in applications that require high strength and at a large span (from 1 to 2 metres). 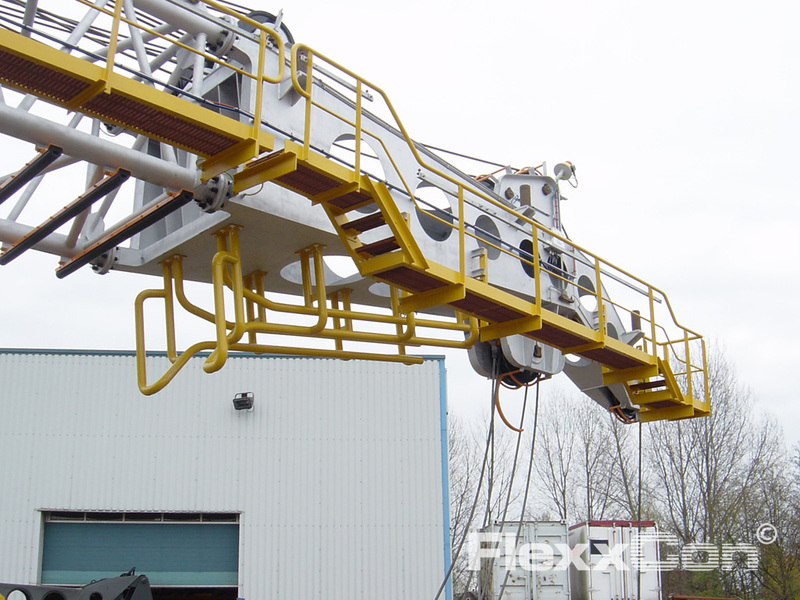 FlexxCon supplies pultruded FRP grating in various panel sizes and thicknesses, with variations in tie rod distance and open spaces. Fibreglass reinforced plastic (FRP [GRP]) pultruded grating can be fitted with a quartz surface (anti-slip layer) and a solid cover plate. 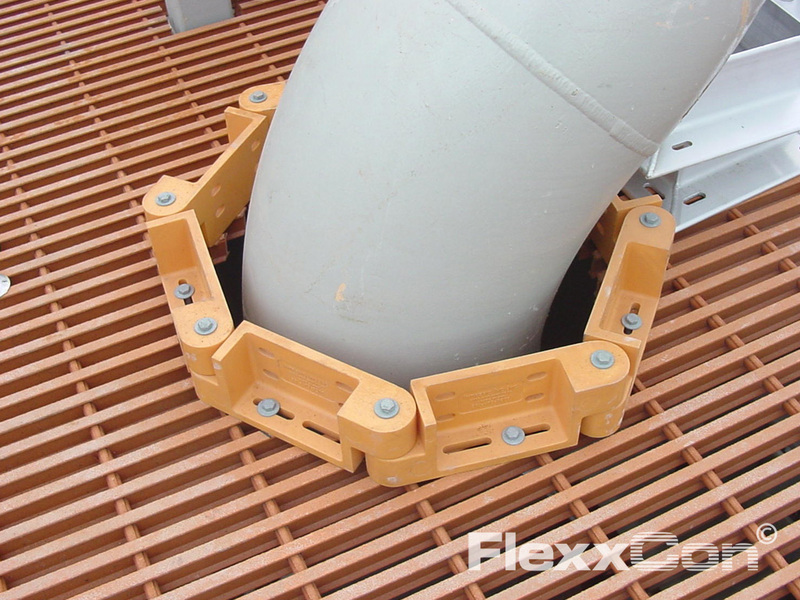 Fibreglass Reinforced Plastic grating (pultruded) is available in the thicknesses: 25 and 38 millimetres. The Fibreglass Reinforced Plastic grating panels are available in various sizes. 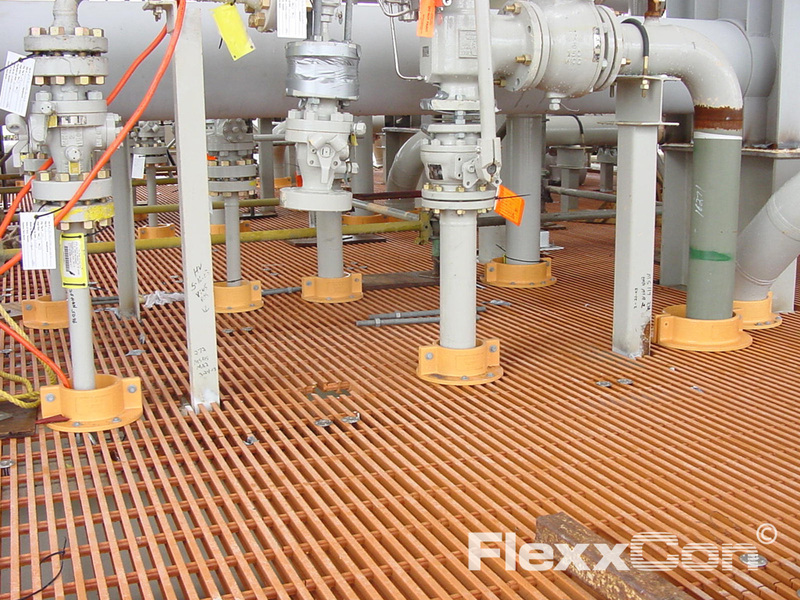 Fiber Reinforced Plastic grating makes a considerable contribution to safety, corrosion resistance, durability, and maintenance-free control of platforms and industrial installations. Fibre glass Reinforced Plastic grating is also a good alternative for steel (stainless steel), wood and concrete grating. 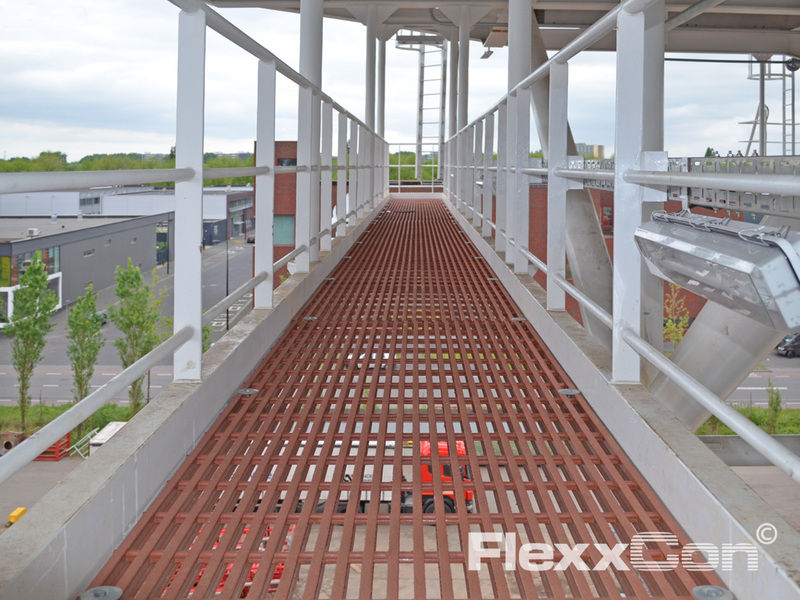 FRP grating is very versatile in application and can be used in: floors, walkways, staircases, landings, platforms, drainage gutters, cable ducts, production and storage spaces, mezzanines, (water) discharge channels, etc. 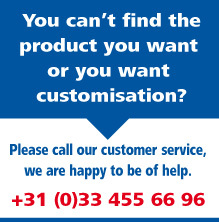 We are happy to advise you on the type of FRP grating, applications, installation plan and customisation.